Wandering Shadow: Tibetans in exile say, “Thank You India” at 50! Tibetans in exile say, “Thank You India” at 50! Tibetans-in-exile living in various settlements across northern India are celebrating the 50th anniversary of their spiritual leader, the Dalai Lama’s arrival in Dharmasala town. Aditya Raj Kaul, the India Editor of The Indian went exploring Dharamsala and interacted with the locals and the Tibetan administration to know the insight of the campaign ‘Free Tibet’. On 10 March 1959 Tibet’s national uprising began but it ended with many Tibetans escaping into exile. Fifty years later, to mark the occasion, the Central Tibetan Administration organized a two-day event “Thank You India” from April 30 to May 01, to express the Tibetan people’s gratitude to the people and the government of India. One of the first actions that His Holiness the Dalai Lama took when he escaped to India was to reconstitute the government of Tibet. On April 29, 1959, he established the Central Tibetan Administration (CTA), which has been located in Dharamsala, India since May 1960. Dharamsala is a city in the upper reaches of the Kangra Valley, in the northern state of Himachal Pradesh. Unique to the Tibetan exile government is the Dalai Lama’s leadership in transitioning to a democratic form of governance. With the Dalai Lama as the head of state, the CTA consists of the Kashag, or Council of Ministers, headed by the Kalon Tripa, and the Tibetan Parliament-in-Exile, 43 members of which are democratically elected and 3 of which are appointed by the Dalai Lama. 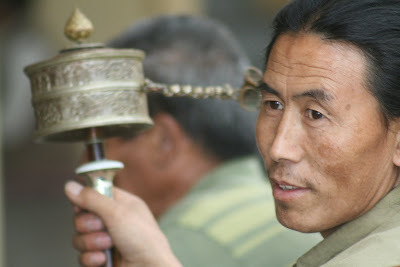 The Kalon Tripa is directly elected for a term of five years by members of the exile Tibetan community. The CTA governs according to The Charter of the Tibetans in Exile and includes an independent judiciary, the Tibetan Supreme Justice Commission. The CTA Departments of Religion and Culture, Health, Home, Education, Finance Security, and Information and International Relations are responsible for the rehabilitation of newly arrived refugees, sustaining a cohesive and self-reliant exile community, managing the CTA’s international affairs and fostering political, human rights and environmental consciousness among the Tibetans. The exile government has offices in eleven countries around the world namely Brussels, Canberra, Geneva, Kathmandu, London, Moscow, New Delhi, New York, Pretoria, Taipei, and Tokyo. In their 50 years of exile, Tibetans have produced a healthy, flourishing democracy focused on both day-to-day community administration and political action for Tibet. The exiled Tibetan spiritual leader Dalai Lama says the Tibetan exile movement must press forward with its talks with the Chinese government despite years of negotiations that have resulted in almost no progress. 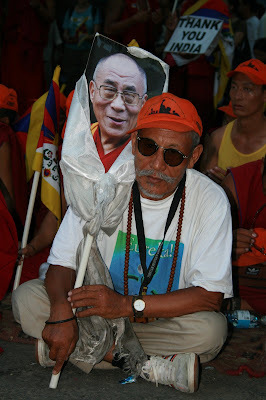 He has been living in Dharamsala since fleeing Tibet more than five decades ago. Dalai Lama was awarded the Noble prize for peace in Oslo, Norway on the occasion of World Human Rights Day, 10th December, 1989. Beyond the official institutions, many individual Tibetans are helping to forge 21st century Tibetan culture. Poets, contemporary artists, journalists, photographers, filmmakers, and rock-and-roll musicians work alongside traditional artisans to jointly celebrate and create Tibetan culture and identity in exile. Tibetan cultural traditions are flourishing in exile. From dance to language, music to textiles, art to poetry, architecture to woodworking, Tibetan refugees have successfully preserved many cultural practices, revitalized and refined others, and integrated new ideas and technologies into their cultural repertoire. The Tibet Museum was established in Dharamsala in 1998 to archive photographs and the life stories of the Tibetan people, present Tibet’s modern history, and strengthen Tibetan identity through various educational programs and special exhibitions. In Nepal, Tibetan refugees established carpet factories in the 1960s to promote the Tibetan art of weaving and to become economically self-sufficient. By the mid-1980s the carpet factories provided jobs to millions in Nepal and the export of Tibetan carpets became the highest source of income from foreign currencies for the refugees. Today thousands of Tibetan exiles are settled in Dharamsala and most of them live in the upper Dharamsala called McLeodganj, where they have built monasteries, temples and schools. McLeodganj is also popularly called ‘Little Lhasa’ after the name of Tibetan capital city. McLeod Ganj was named after Sir David McLeod, a Lieutenant Governor of Punjab, while the suffix Ganj is common Hindi word for ‘neighborhood’. One of the most haunting claims by the Tibetans is that – China’s efforts to control Tibet entailed mass-scale physical destruction combined with policies aimed at erasing Tibetan culture, religion and ultimately its identity. According to them, the exploitation of Tibet’s natural resources, massive deforestation and unchecked hunting has severely damaged Tibet’s fragile ecosystem. Shockingly, they say, parts of Tibet are used as nuclear test sites and dumping grounds for nuclear waste. At present there are about 1, 30,000 Tibetans in exile. Most of them live in India, Nepal and Bhutan, with smaller communities in the USA, Switzerland, Canada and others western countries. Though teary eyed, she concludes, “I don’t know what will happen to us after Dalai Lama is no more. We will be directionless, left with crisis of existence’. Many believe that when the fourteenth Dalai Lama dies the Chinese will choose their own reincarnation. They see the case of the Panchen Lama, Tibet’s second highest-ranking religious figure, as a prologue. In 1995 the Dalai Lama recognized a 6-year-old boy in Tibet as the successor to the 10th Panchen Lama, who died in 1989. China detained the boy and chose another in his place. The Dalai Lama’s choice and his family have not been seen since. The Dalai Lama has said that to avoid such a situation his reincarnation will be born outside Tibet. 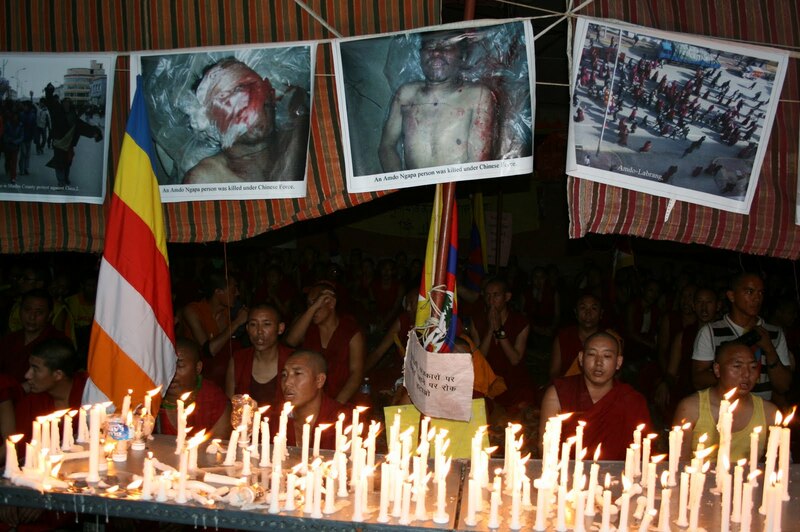 But Tibetans in exile say they must eventually face the future after the Dalai Lama’s death. Kalsang Phuntsok Godrukpa, president of the Tibetan Youth Congress, a group that advocates direct action for Tibetan independence, tells members of his group to prepare for that time.